The price was revealed after it emerged that Radio Kerry is offering €7.50 per share. THE CATHOLIC CHURCH, the GAA, a number of priests and hundreds of Clare citizens are to share in a €2.67 million windfall from the sale of Clare FM and a controlling interest in Tipp FM to Radio Kerry. The price was revealed after it emerged that Radio Kerry is offering €7.50 per share for the purchase of Clare Community Radio Holdings plc. The €2.67 million price is significantly less than the €7.2 million or €20 per share Radio Kerry had offered to buy Clare FM in a planned deal which collapsed in 2008. In a letter to over 500 shareholders, chairman of Clare Community Radio Holdings plc, Maurice Harvey stated that the board is recommending acceptance of the fresh offer and has given shareholders until 31 January to give their response. In the letter, Harvey told shareholders that the board is recommending the offer “as consolidation within the industry will strengthen and secure the future of all involved”. Harvey said that Radio Kerry and Clare Community Radio Holdings plc “have forged a close working relationship over the years and share the same local ethos and values”. He added that the transaction – subject to approval from the Broadcasting Authority of Ireland (BAI) – is likely to be complete in the first half of this year. Most of the shareholders in the up until now locally-owned Clare Community Radio Holdings plc own shareholdings or 50 and 100 shares. They were purchased for €1.27 each almost three decades ago and the owners of the shares now stand to gain between €375 and €750 for those shares. However, a number of the members of the board of Clare Community Radio Holdings are set to benefit handsomely from the sale. Managing Director of Clare FM and board member at the Shannon Group, Liam O’Shea, will be one of the main beneficiaries and stands to receive €154,762 from the deal. A brother of former Tipperary hurling manager, Eamon O’Shea, Liam O’Shea has been at the helm at Clare FM since 1998 and oversaw the station’s purchase of Tipp FM where he is also MD. Other board members in line for welcome payouts include General Manager at Clare FM, Susan Murphy who is due to receive €75,000 and the Managing Director of The Clare Champion, John Galvin who is due to receive €90,000. Founding chief executive with Clare FM in 1989, Caimin Jones said today that the price offered by Radio Kerry “is realistic and fair in terms of the challenges currently faced by the media industry”. Jones said that it is ironic that Clare FM was passing out of local control 30 years after it was established in 1989. As part of the planned sale, Clare GAA is set to receive €37,500 from its shareholding while the Diocese of Killaloe is set to receive €70,500. In addition, a number of priests who bought shares are to receive sums ranging from €750 to €2,625 while former TD, Dr Moosajee Bhamjee, is set to receive €1,125 for his minor shareholding. 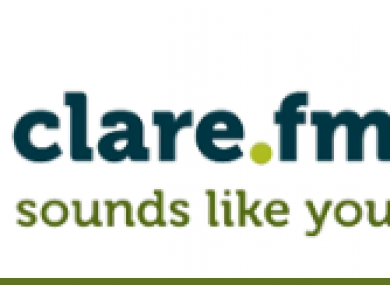 The most recent accounts for the Clare FM firm show that it recorded a pre-tax loss of €180,566 in 2017 after revenues dipped marginally to €1.61 million. However, the loss takes into account the company writing off €300,000 in an investment and non-cash depreciation costs of €103,085. Email “Catholic Church, GAA and priests set to benefit in €2.67m windfall from Clare FM sell-off”. Feedback on “Catholic Church, GAA and priests set to benefit in €2.67m windfall from Clare FM sell-off”.